Investing in employee well-being boosts engagement, improves productivity and even leads to better company performance. But there’s just one problem companies are running into over and over: participation. 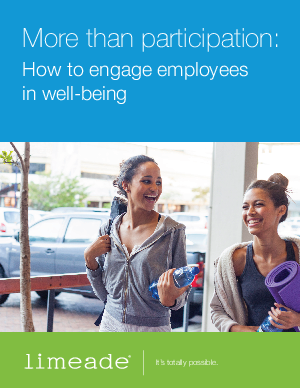 We surveyed close to 300 employers about the state of their wellness programs. They said their biggest challenges are: participation (52.6 percent), sustaining interest and active involvement (48.5 percent) and fostering employees’ long-term health habits (37.5 percent). How can you tackle participation and keep interest thriving?